Jeevasanthi is an Indian dating sate that helps people connect all across India. What better way to show the diversity of Indian peoples than through their traditional illustration styles? We love this work from JWT Delhi and how it tells such a powerful, inclusive story using nothing but cultural imagery. In a country where social divides can be strong, it is work like this that normalises people mixing and enjoying the company of fellow Indians. Very, very smart work and very easy on the eye too! This entry was posted in Art Direction, Illustration and tagged Art Direction, Illustration, Jeevasanthi on August 31, 2015 by stellenboschacademy. On 22 August we held our open day for prospective students. What a resounding success! It was so exciting to open our doors and welcome everyone into our space to see what we do. 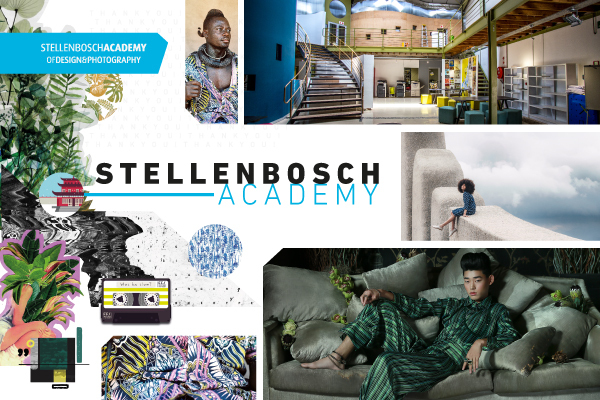 This entry was posted in Academy Work and tagged Open DAy, Stellenbosch Academy, Video on August 28, 2015 by stellenboschacademy. Miquel Tura Rigamonti is a young illustrator from Barcelona and we absolutely love his detailed isometric style – such great talent for someone so young! To see more of Rigamonti’s work, have a look at his behance profile here. This entry was posted in Illustration and tagged Illustration, isometric, Miquel Tura Rigamonti on August 28, 2015 by stellenboschacademy. Orijin is an alcoholic bitters drink from Nigeria and when we saw these ads by SO&U Nigeria we knew we had to share them. We’re always looking to showcase the best of African creativity and the art direction on these print ads is really special. We love the photography and most of all the uniquely African look and feel. More of this please! This entry was posted in Art Direction and tagged Art Direction, Orijin, print on August 26, 2015 by stellenboschacademy. All the best ads require no explaining at all. This print campaign from DDB Chile is a prime example. This entry was posted in Art Direction, Illustration and tagged Art Direction, Play Doh, print on August 24, 2015 by stellenboschacademy. It’s so interesting to see how brand’s live in other countries and this work from McDonald’s France shows such a refreshing way of looking at the McDonald’s brand. The line, venez comme vous etes means: Come as you are – a more inclusive, happier line than I’m loving it, as we know McDonald’s. With really engaging art direction and illustration, we see cute stories being told about life, with the added fun of emoji heads. Is emoji-advertising here to stay? That’s hard to say, but if it keeps on being as well produced as this, we think it may have a place! This entry was posted in Art Direction and tagged Art Direction, Illustration, McDonald's on August 21, 2015 by stellenboschacademy. Andy Wang is an illustrator based in Vancouver, Canada and we love his simplified, cute style. Here, we are looking at his exhibition called ‘Hiding In The Wrong Place’ that highlights foods from around the world, with his little characters hiding well… in the wrong place! To see more of Wang’s awesome work, have a look at his website here. This entry was posted in Illustration and tagged Andy Wang, food, Illustration on August 19, 2015 by stellenboschacademy.